Optical analyst firm LightCounting has released its latest Optical Communications Market Forecast Report, which finds that the cloud is the biggest driver in limiting the optical transceiver market’s decline in 2018 to less than 3 per cent. Specialist market research firm, LightCounting has released its latest Optical Communications Market Forecast Report which highlights, amongst other key findings, that the loud was a key driver for the optical communications market last year, and, predicts that it is likely to be so again in 2018. According to the March 2018 Quarterly Market Update by Lightcounting, 2017 was a record year for revenues in the optical components industry. Aggregate 2017 revenues of public optical components, said the specialist market research firm, totalled $8.266 billion for 2017, 8 per cent higher than reported for 2016 ($7.639 billion). The transceiver-only figure provided by the survey data is $5.482 billion for 2017, which is half-a point higher than 2016 ($5.451 billion). For transceivers alone, said the company, 2017 was a still a record, but by an insignificant amount. According to the latest report – Market for Optics in China – by LightCounting, the last decade has seen China exhibit a greater impact on the global optical communications industry than any other nation. 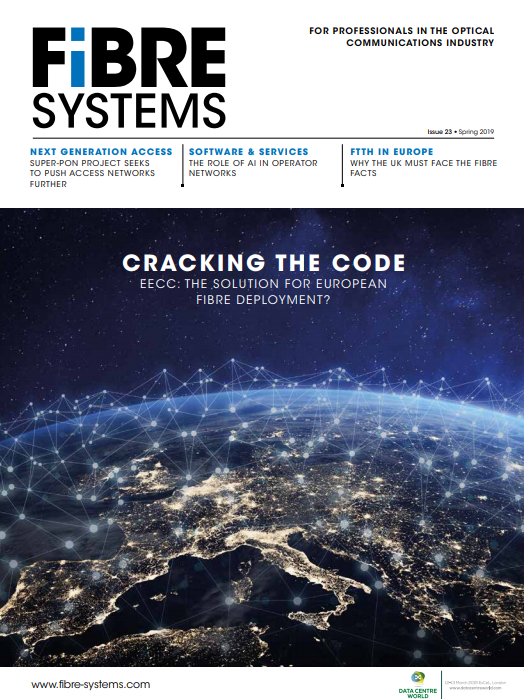 The market for active optical cables (AOC) and embedded optical modules (EOM) is set to experience unprecedented growth, according to the latest report from specialist market research and consulting company, LightCounting. Now in its tenth edition, the study has forecast a likely rise of 33 per cent in unit shipments by 2021, in comparison with the company’s research a year ago. In spite of this, however, the revenue forecast for 2021 has only risen very slightly as prices erode.